The fear of U.S. doctors over socialized medicine as a consequence of major reforms in health care put forward by President Obama is not new. With John F. Kennedy’s inauguration as president in 1960, doctors grew anxious about impending governmental regulations on the health care system. Half a century ago, in that era, Philip (Phil) Ochs (1940 – 1976) released a recording “Hooray for the A.M.A.”, in which he criticized both greedy doctors and the American Medical Association.1 In the last verse of his song, Ochs expressed the fears of many American doctors: “And now the government is too ambitious / Yes, we know they want to socialize us all”. He continues: “Well our oath was Hippocratic but with money we’re fanatic / So we’ll see you in Canada in the fall.”* In the refrain “Hooray for the A.M.A, and for us doctors lets have higher pay” the organization is praised, but at the same time urged to strive for increased remuneration. Doctors promise wealthy patients “We will fight against disease when the money comes with ease” coupled with a warning to the less fortunate: “If you can’t afford my bill, don’t you tell me that you’re ill”. Ochs decries the increasing sub-specialization of medicine: “We’ve divided up the sections of the body / Every day we specialize more and more” to expose specialization as yet another venue for money-making: ”But we really love to stitch the diseases of the rich / We are sure there is a clinic for the poor”. For the sake of rhyme, dermatologic therapy is also mentioned: “And our waiting rooms are getting pretty crowded / It is sad to see our patients sit and bleed / But if you must use our ointment then you must have an appointment / Or who’ll pay for those magazines you read”. Phil Ochs’ father was a physician who served in Army hospitals stateside as well as in Europe during World War II, where he took part in the Battle of the Bulge. We do not know if Phil Ochs’ cutting criticism of American doctors and second half 20th century medicine was directed at his father. It is known that Dr. Ochs suffered from post-war depression and did not care much for his family. 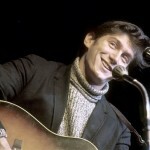 Phil Ochs, said to be musically inclined, was influenced by the Rock-‘n’-Roll stars Buddy Holly and Elvis Presley, and later by folk-singers Woody Guthrie and Pete Seeger. 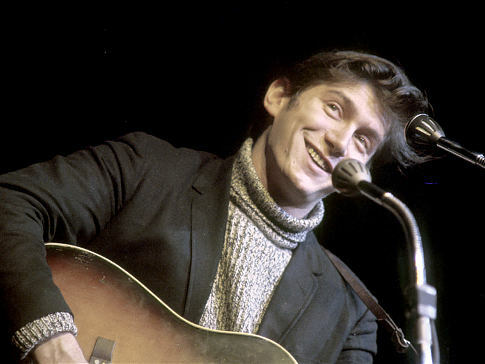 Ochs preferred the designation of “topic songs” instead of “protest songs” for his lyrics, and considered himself more of a “singing journalist” (“All the news that’s fit to sing”), than a folk-singer. * Although Ochs suggests that Canadian medicine in the 1960s was immune to socialization, he seems to be unaware that the Canadian experiment in socialized medicine had already begun in Saskatchewan in the mid-1950s. This entry was posted in Friedrich Bahmer by humanemedicine. Bookmark the permalink.